The lights were dimmed low. I was laying on a table and Jeff stood beside me. We had laser like focus on the wall before us as the sweet woman lathered that cool, blue gell on my stomach. I must have been holding my breath. This was the moment that it would all become real. And then, on the screen before us was a tiny little figure – our baby. My eyes instantly teared up. It was real. This little, tiny baby was truly inside of me. We watched as its heart beat – a strong, healthy heartbeat. I looked up and saw Jeff beaming. Wow. Words couldn’t do justice for the moment. Our little baby, though its heart already beats, is so very small. He or she is only about the size of a raspberry. And when I stop to contemplate that I was once that small inside my mother’s womb it literally astounds me. Is there anything more humbling than acknowledging your beginnings? It pushes me to worship my Creator. The One who saw me before my mother’s womb. Before my raspberry-like existence. He is the one who thought me up. He is the one who decided to bring every detail to pass that would usher my being into this world. It is nothing short of a miracle. Have you ever stopped to consider the odds of your existence? There are so many ways that I could have not existed. When my father was a teenager, before he found Christ, he nearly committed suicide and was checked into the hospital. 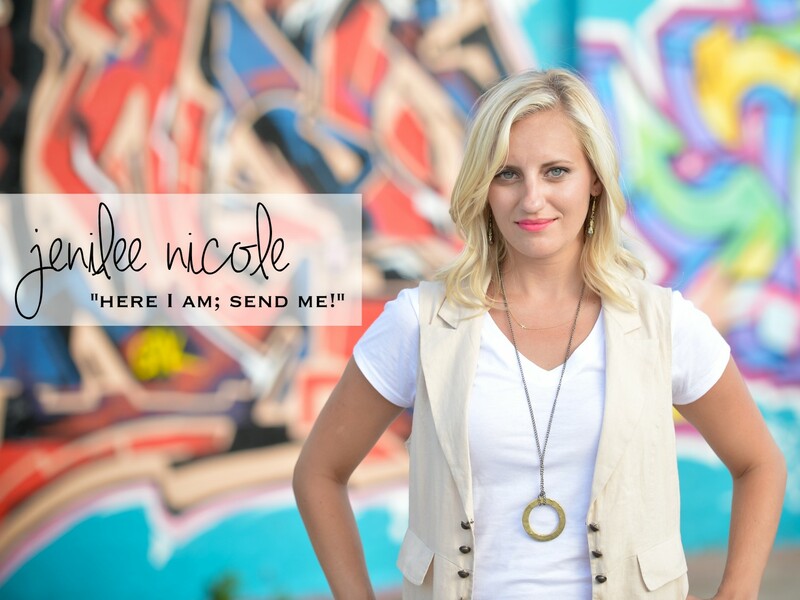 Had Christ not radically changed his life and given him a hope – I would not be here. After finishing cosmetology school, my mother was told she had failed her state boards. Shocked and upset, she decided to go to church that night with her dad where a young evangelist was preaching – my dad. They met and fell in love, only to discover that the failed test was an error. Without that error – I wouldn’t be here. Had my grandfather’s visa to travel to Australia not been rejected, he would have never met my grandmother in Germany – and I would not be here. In fact, in order for me to exist, each of my ancestral grandfathers had to have met each of my ancestral grandmothers at just the right time. And I don’t even know their stories. That’s amazing, isn’t it? And then there’s Jeff and I. God rocked my world to bring the two of us together. He doesn’t make mistakes. Really, there are no odds about it. God knew me, Jeff, and our little unborn baby before He laid the foundations of the world. He planned us all and knew every circumstance it would take to get you here. That ought to make you feel worthwhile, important and loved, because it does for me. 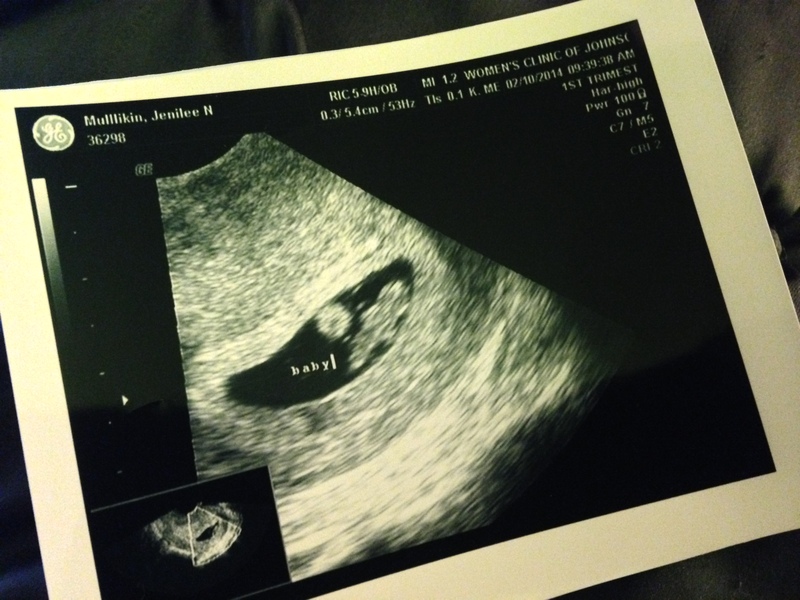 This entry was posted in Family, Savannah JO, Uncategorized and tagged 7 weeks, baby, God, jenilee johnston, Jenilee Mullikin, Jeremiah 1:5, pregnancy, sonogram, ultrasound. Bookmark the permalink. Jenilee, This was so beautiful and brought tears to my eyes. You have an amazing way of sharing your heart through writing, truly a gift! Congratulations and blessings to the three of you.